Solid Brass Cabin Hook For Gates Doors 4 inch. Features durable and solid brass construction. Cabinet Hook. 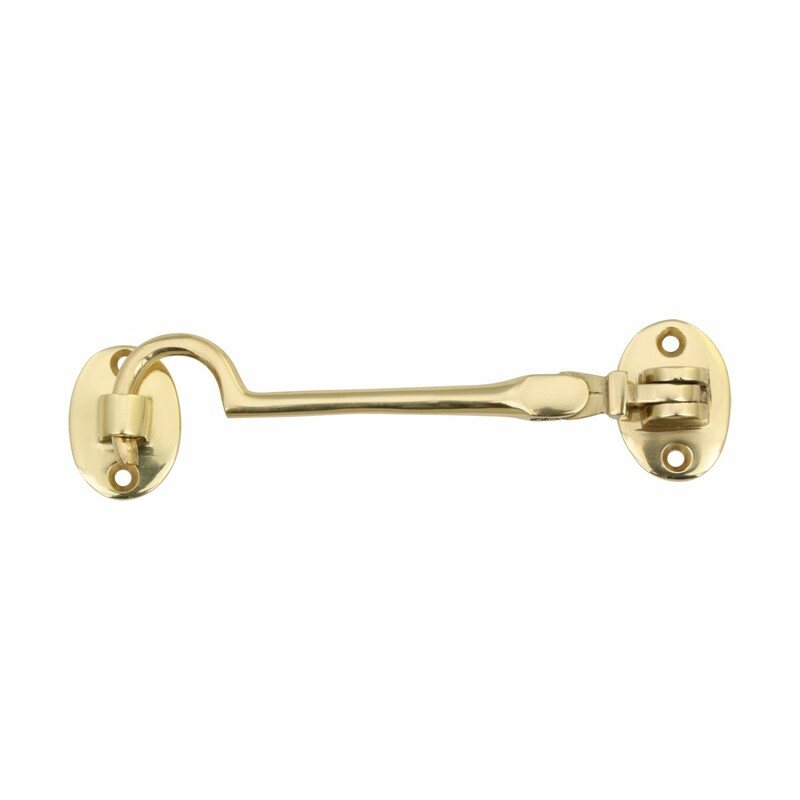 These outstanding Hooks crafted of brass are popular on cabinet doors. A fabulous detail for a modern sleek look or for that Old Colonial charm. Affordably reclaim old cabinet doors. Our exclusive RSF coating protects this item for years to come.